RedWeasel, one of our family of weasel apps, lets you easily change the RGB values on a set of images. We created it for a friend who wanted to correct for the red loss in his underwater photos. (Even water at 5ft depth will have a noticeable loss of red.) Our resulting app corrects the red balance, and for good measure green and blue too, making it useful for a wider audience while still keeping the overall simplicity of the weasel apps. 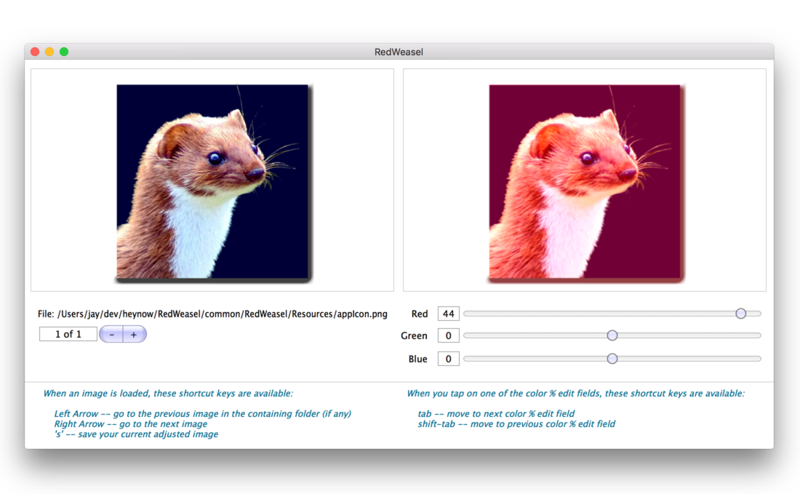 RedWeasel is available for macOS and Windows and is free for the download. Enjoy.